As most people know, the Mirage is a casino on the famous Las Vegas Strip. Unfortunately, very few people are aware of the real mirage, which involves one of their main tourist attractions. Many people look forward to an opportunity to see the dolphins at the Mirage during their trips to Vegas. On the surface it is a great and rare chance to meet these beautiful and friendly animals. 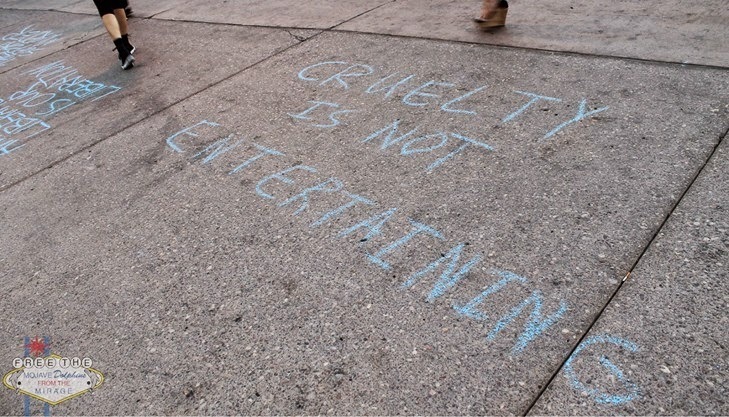 No doubt, a huge percentage, if not all of them, are animal lovers who would never intentionally harm their fellow creatures. Life in a Bathtub is No Life at All. However, the less well known truth is that the "Mojave Dolphins" aren't guests or residents of the Mirage. They are captive prisoners of a corporation that cares nothing about their true well being and only values them as a commodity which can be sold to tourists for $20 a visit. They are confined to a tiny pool that doesn't give them adequate room to play or even move around sufficiently. Because the Mirage is too cheap to even provide proper shelter from the scorching desert heat, the dolphins suffer from a skin condition known as a pox virus, which is also associated with stress. Dr. Martin Dinnes, the man responsible for almost all of the Mirage's dolphin prisoners has a shameful and long history of animal abuse and neglect. The pipeline that starts at the Taiji Cove in Japan (see below) is an incredibly cruel and inhumane horror show of death and abuse, where many cetaceans are slaughtered and others are sold into cruel, exploitive captivity. Listless, stressful, and unhappy lives followed by an early death are the norm rather than the exception for these poor animals confined to the cramped space of the Mirage's Death Pools that are otherwise so well known for their playfulness and happy, outgoing nature in the wild. 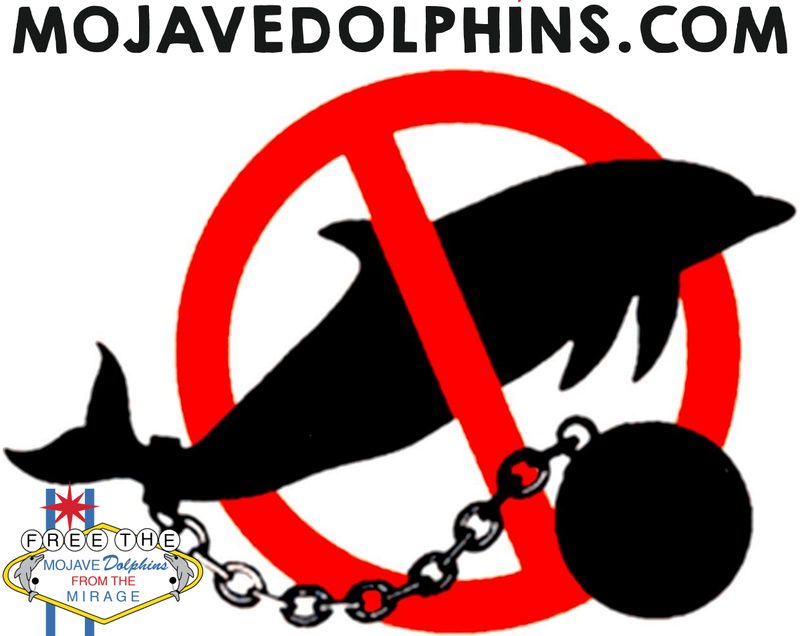 Anybody that cares about dolphins or simply has compassion for living things, in general, should boycott the Mirage and demand they stop exploiting and torturing the Mojave Dolphins. Paying to see the dolphins at the Mirage is directly supporting and encouraging animal abuse. Even Rick O'Barry, the man who trained the dolphins that portrayed "Flipper" in the 70's T.V. 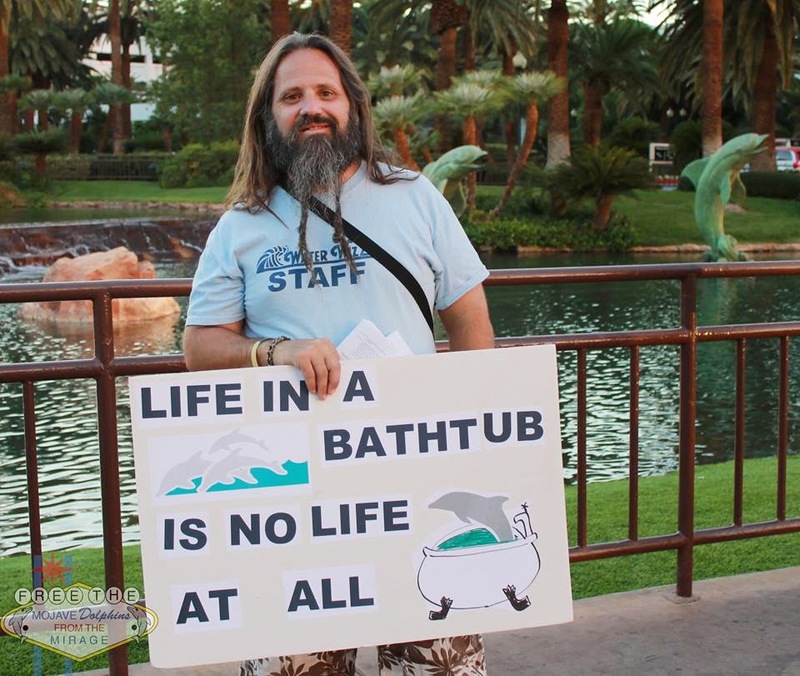 show has come out against the Mirage and their treatment of the Mojave Dolphins. The Sunset Activist Collective, Food Not Bombs Las Vegas, Nevada Cop Block, and I on a personal level all stand in full agreement with the Free the Mojave Dolphins group, and Rick O'Barry (along with everyone involved in making "the Cove") and in solidarity with and compassion for the Mojave Dolphins. Rick O’Barry, star of the documentary, will be the special guest speaker. We have 250 seats to fill up, and hope you will be in one of them. Please RSVP on the facebook event page. “The Cove,” a heartbreaking documentary, describes how Richard O’Barry, director Louie Psihoyos and a team of adventurers penetrated the tight security around the Taiji cove and obtained forbidden footage of the mass slaughter of dolphins. Divers were used to sneak cameras into the secret area; the cameras, designed by Industrial Light and Magic, were hidden inside fake rocks that blended with the landscape. The logistics of their operation, captured by night-vision cameras at times, has the danger and ingenuity of a caper film. The stakes are high: perhaps a year in prison. The footage will temper the enjoyment of your next visit to see performing dolphins. 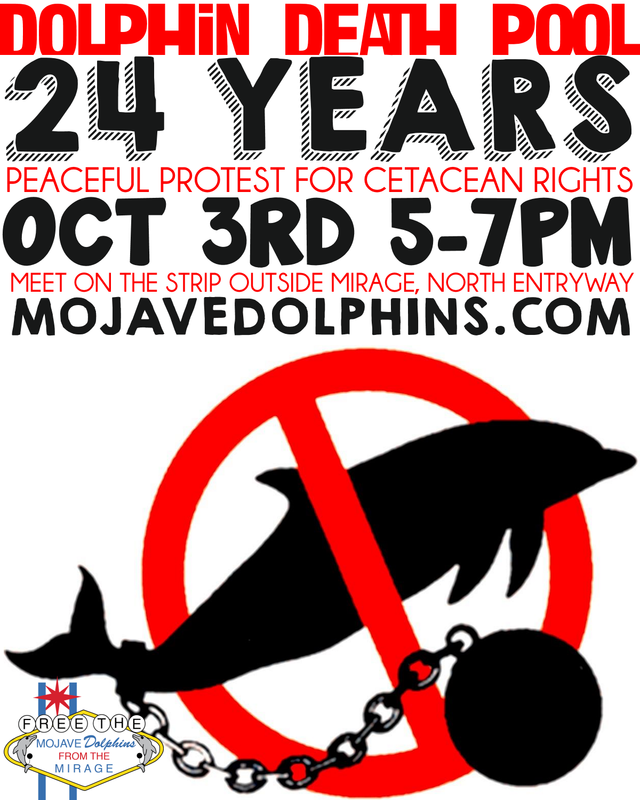 On Oct 3rd, we will be gathering in front of the Mirage on the Las Vegas strip to peacefully bring awareness about the mistreatment of cetaceans,and protest their captivity here in the Mojave desert. The protest will run from 5pm to 7pm. Signs and literature will be provided but limited, so feel free to get creative and bring your own! 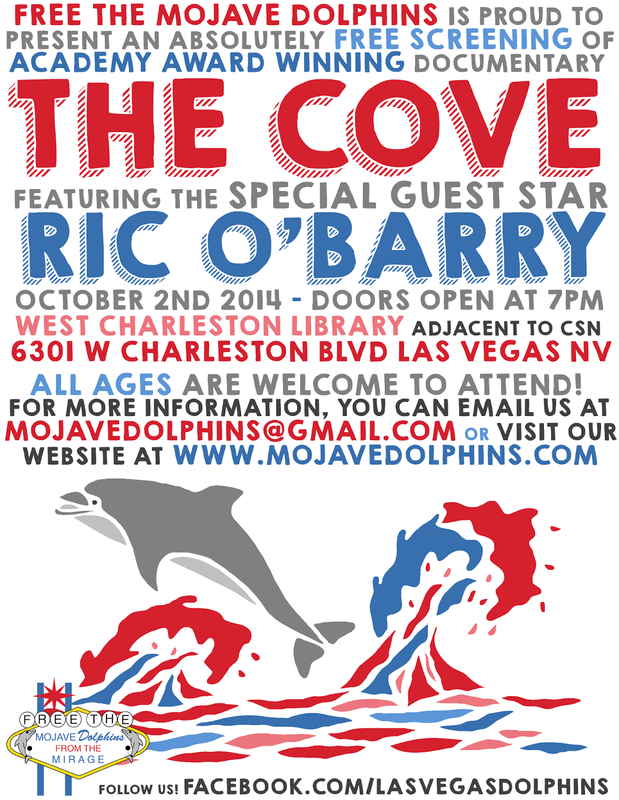 Ric O’Barry will be protesting right along side us against the Dolphin Death Pool on the infamous Las Vegas strip! This protest comes the night after our free screening of The Cove with Ric O’Barry at the West Charleston Library. The Mirage received their first shipment of 5 dolphins on October 19th 1990. Only one of those dolphins survives. Her name is Duchess. She is the matriarch of the Mojave pod. Sophie, the newest member shipped over from Seaworld earlier this year, will be turning 9 on October 6th. Merlin, one of the original 5, was captured on October 27th 1982, and died October 27th 1994. Banjo, another member of the original pod, died Oct 12th 2004. Though gone, they are never forgotten.